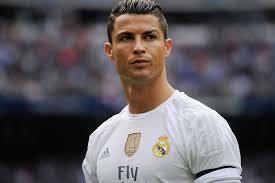 i am intrested in signning Christiano Ronaldo – Mourinho – Royal Times of Nigeria. Jose Mourinho said Cristiano Ronaldo was the kind of player every manager would want in their squad amid speculation the Real Madrid forward could be on his way back to Old Trafford. The Portugal international, 32, has been linked with a return to Manchester United and Mourinho has stated previously he intends to make a big signing ahead of next season. Reports in Spain claim Ronaldo will join United if Real are able to persuade Brazil forward Neymar to move from Paris Saint-Germain. United sold Ronaldo to Real for a then-world record £80 million ($114 million, 92 million euros) in July 2009 and while Mourinho did not want to heighten speculation, he gave United fans a glimmer of hope on Thursday.